MOWI TOUR & TRAVEL is a MOWI GROUP franchise. Customer philosophy was borne from the loopholes in the regional tour and travel industry vis-à-vis international exposure of the MOWI group leadership. 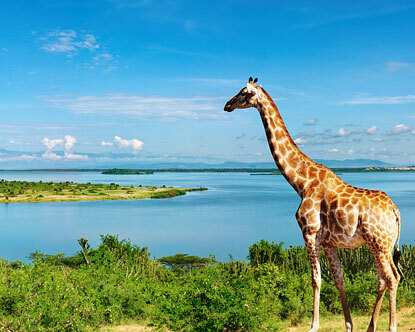 Thus we offer a personalized customer service aimed at alleviating any stress linked to planning, paying for and enjoying tours in the East African region. We offer customer advice as well as full package tours ranging from planning, through hotel bookings, car rental, payments, and security and after sale services to our customers. 15% discount for Tours offered to military, families, students, government civil servants and UN staff. Located astride the equator and within ten (10) minutes’ drive from Entebbe International Airport and Uganda’s state house, MOWI CRIBS Hotel is also ashore Africa’s largest fresh water body, Lake Victoria and within close proximity to both the United Nation’s Regional Centre in Entebbe and Kampala the capital City of Uganda. Thus MOWI CRIBS Hotel is not too far and not too near to major metropolitan Entebbe area. The serene surrounding of the Hotel provides a worthy escape from the noisy urban life assuring our guests of maximum privacy, time to meditate and focus while also keeping them within easy reach of a boat ride on Lake Victoria or a stroll through the cosmopolitan secure residential area within easy reach of bars, dance clubs and upscale shopping malls as well as a quick and unhampered drive to catch your flight at the Entebbe International Airport. The location enables guests to optimize the beautiful warm and humid tropical weather characterized among others by all year sunshine, warm nights, diverse birdlife, flora and fauna within close proximity of the many beaches, famous tourist destinations including the Chimpanzee sanctuary, Bulago Islands, Kasubi Tombs, Snake park, The Uganda Wild Life education Centre, source of the Nile, Bujagali Falls, the equator Line and many National Parks.